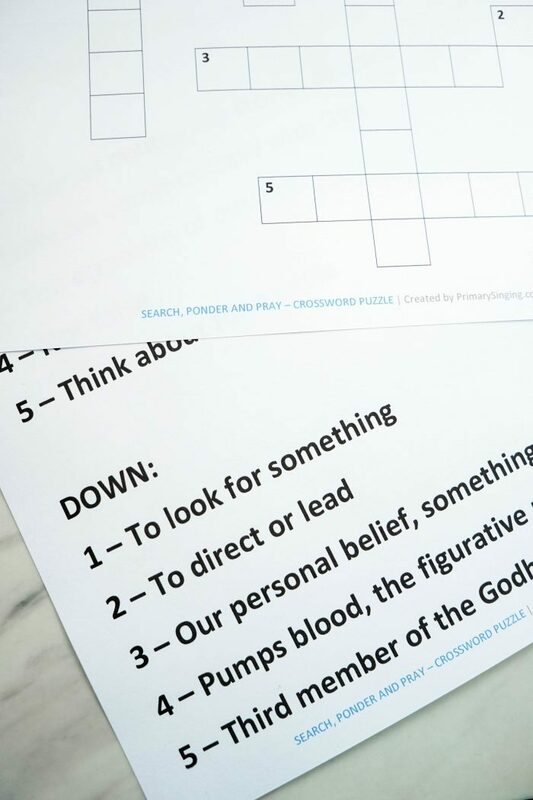 This Search, Ponder and Pray crossword puzzle game helps engage both the word and logical learners. 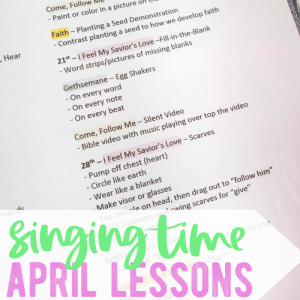 You’ll also be seamlessly integrating teaching the lyrics and meaning of the song while teaching it in a fun way! 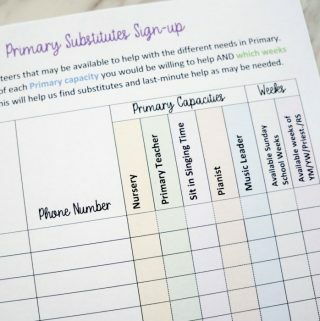 This activity would also be great for use as a small group in class or for families or individuals! 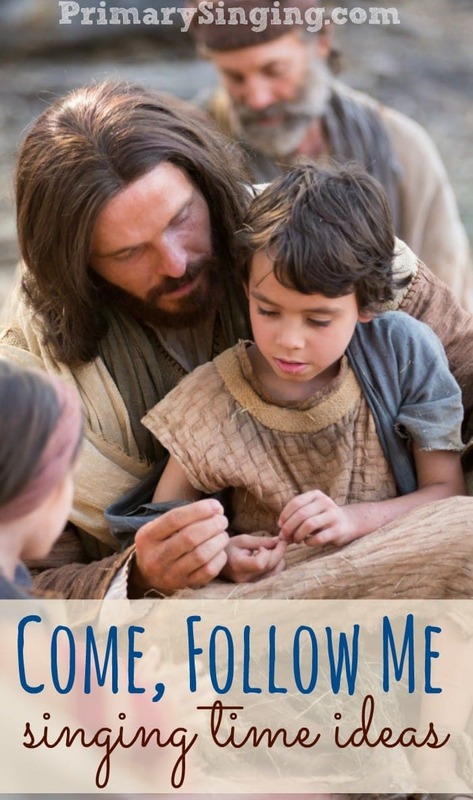 What a perfect way to tie in this meaningful song into your Come, Follow Me study! 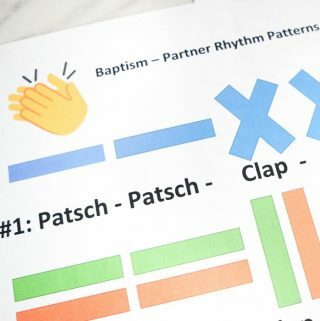 – You can leave the filled in puzzle in front of you on the music stand, for reference as needed. 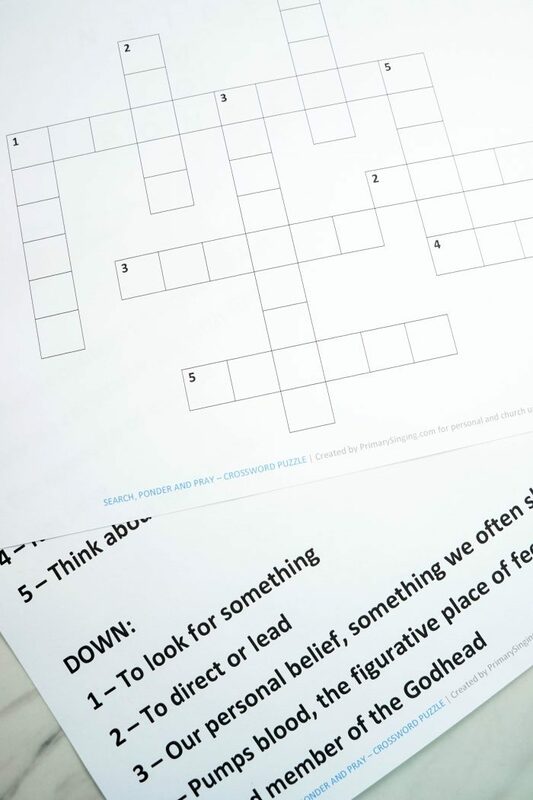 – Start with the crossword puzzle and fill in the answers from the puzzle. Tell the class to try do figure out what song the crossword puzzle is talking about. 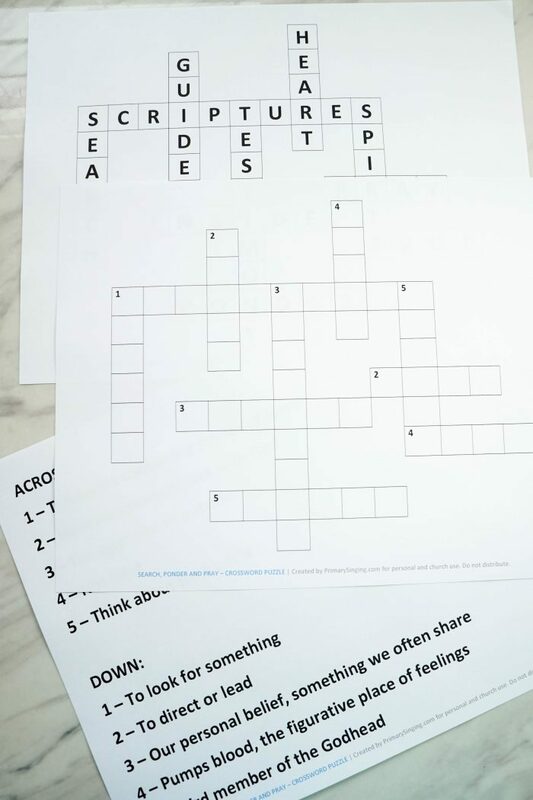 Once solved, you can sing the song after each couple of filled in clues or if they are struggling with a clue then sing through the song to find the answer. 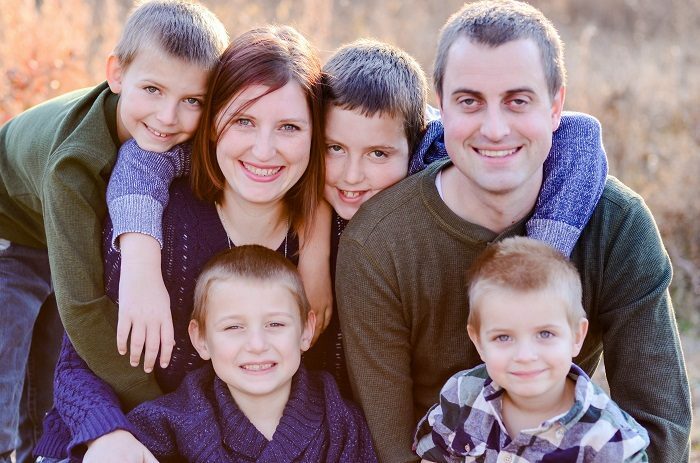 – You can let the kids pick any of the numbers (across/down 1-5), they do not have to be answered in order. If you decide to go in order, I would recommend starting with the across clues, as 1-down is a pretty strong clue that may give away the song. 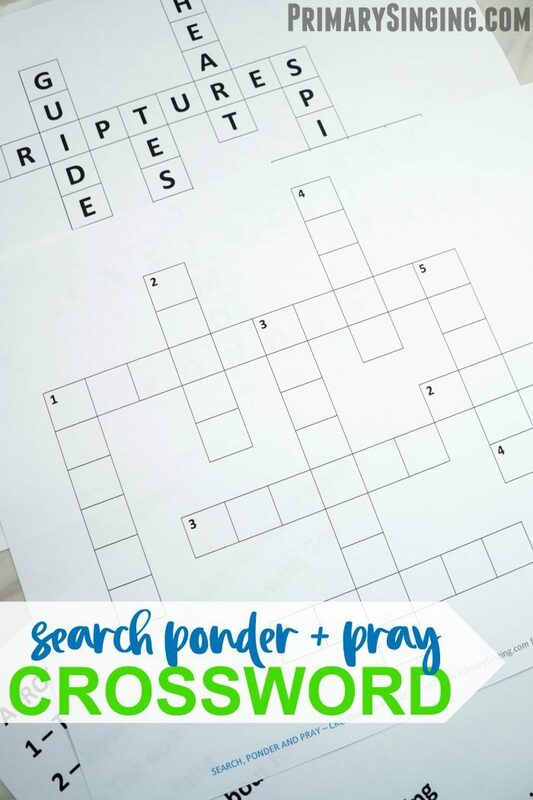 You can print out a single sheet sized Search, Ponder and Pray crossword puzzle either to post on the whiteboard or to use simply as a guide to make a much larger poster board sized crossword puzzle. 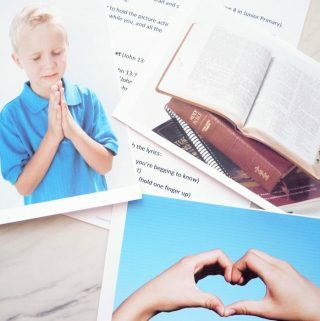 You can also use this printable to make a smaller class sized challenge or to use with your own family during your home study of the Come, Follow Me curriculum! 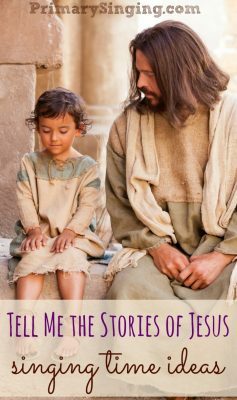 How will you be using this Search, Ponder and Pray Crossword Puzzle? Thanks for sharing all your wonderful ideas! 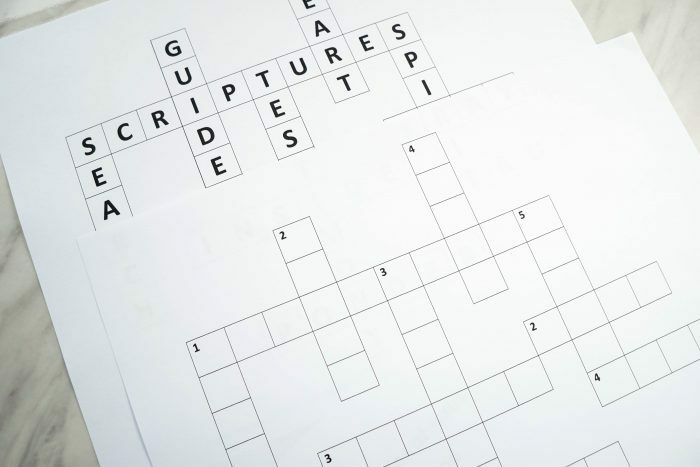 When you post SEARCH, PONDER AND PRAY – CROSSWORD PUZZLE | Created by PrimarySinging.com for personal and church use. Do not distribute. I want to clarify if that means I can not send home a crossword puzzle with each child? Thanks. 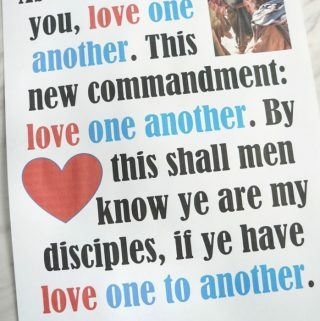 I would be just fine with you printing them for the individual kids in your Primary class!! What a great idea!! THANKS! 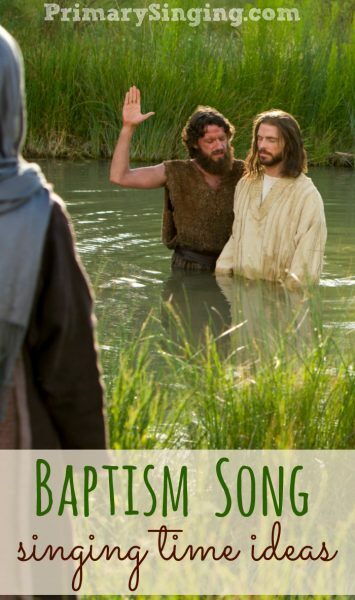 I will print and send home with Senior Primary to prompt a family activity and then the next week review answers and the song at church. 20 minutes gets by so fast!